We all long for a hot water bath at the end of a long hectic day. Also, we need hot water to freshen up and bathe in the winter. This geyser will heat and store water and ensure a consistent supply of hot water as per your need. It is durable, and sports a stylish design that will blend in easily with your modern bathroom. 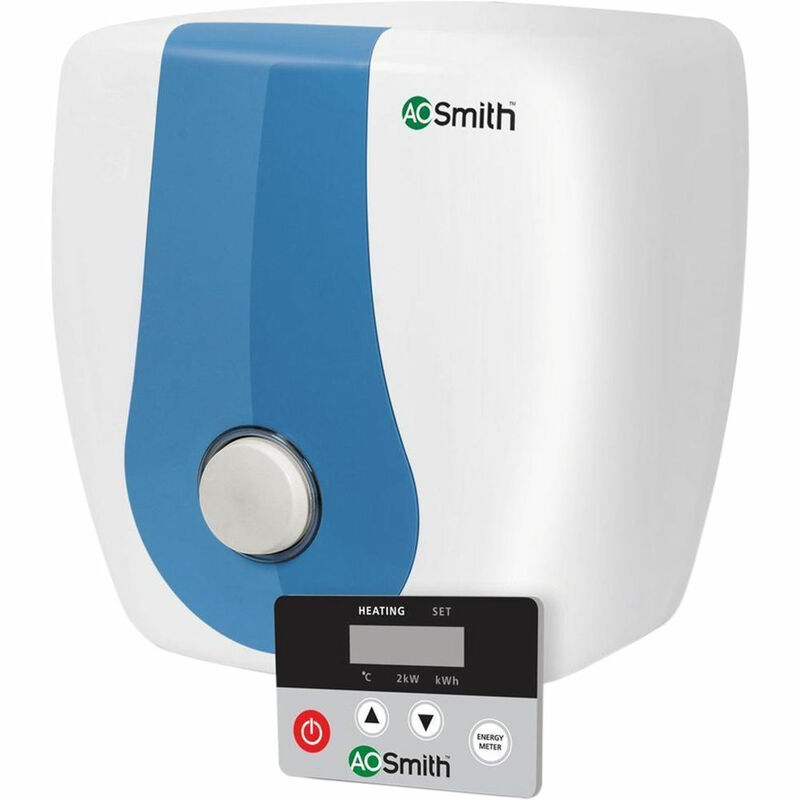 With A.O Smith water heaters, you get good value for money. A.O Smith water heaters have Blue Diamond™ glass lined tank. This offers maximum protection against hard water corrosion. Glass Coated Element Scale and sediment build-up on the surface of the element can lead to premature failure.A. O. Smith Glass Coating helps prevent scale formation and extends the life of the heating element. Blue Diamond Glass Lining Offers the best protection against tank corrosion. Patented Blue DiamondTM technology increases life of the water heater. The lining is stronger and more water-resistant than any other in the industry. Anode Rod protection The tank has an anode rod system with a stainless steel core that is designed to protect the tank from corrosive elements. The system uses a special cathodic action to fight the corrosive elements and thus prolongs the life of the water heater. Safety Valve The safety valve is designed to automatically relieve and discharge water in case the pressure or temperature overshoots the preset limits. Thermal Cutout In case a fault occurs and the water temperature exceeds the highest preset temperature, the breaker rapidly cuts off the live line and the neutral line simultaneously to assure safety. Wired Remote Controller Wired remote controller displays the temperature and the total energy consumedby the water heater. Temperature can be precidely set between 25 degree C to 75 degree C. It is easy to operate the water with wired remote controller even if it is placed in an enclosed area by connecting with an approximately 8 feet wire.